Sjogren’s syndrome is an autoimmune disorder that occurs when antibodies in the bloodstream start to attack healthy cells in the body. Researchers are unsure of the exact cause of Sjogren’s, but it is believed to be linked to certain genes. The condition starts with antibodies attacking healthy cells in the eyes and mouth, and the most common early symptoms of the disease include dry eyes and dry mouth. When Sjogren’s progresses, joint pain, stiffness and arthritis may develop. Other symptoms include swollen salivary glands, dry cough, susceptibility to rashes, chronic fatigue and vaginal dryness. If the disease is in its early stages, people who have Sjogren’s are generally able to manage their symptoms with over-the-counter eyedrops and increased water intake. However, people who suffer from more severe symptoms and complications of the disease are often prescribed medications to help lessen the severity of symptoms. Medications to stimulate saliva production may be prescribed. Medications that suppress the immune system may also be used, but it is important for sufferers to know that these medications come with side effects that can put them at risk of easily becoming ill. If the dry eyes symptom is not alleviated with the use of eyedrops and prescription medications, surgery may be recommended. This surgery seals up the ducts that drain tears from the eye by inserting collagen into the ducts. Social security disability insurance (SSDI) is a type of insurance program that is managed by the federal government and funded through paycheck deductions. Employers remit funds to the IRS, and these funds are then sent to the Social Security Administration (SSA). The SSA makes determinations about who qualifies for SSDI benefits and calculates how much money these individuals will receive. SSDI is intended to help people who are unable to work due to the symptoms and complications of their disability. People who apply for SSDI benefits must have worked in the past in order to qualify. The exact amount of work history that is needed depends on the age of the applicant, but the general rule is that applicants must have worked at least five of the 10 years leading up to the date of the disability diagnosis. Unlike other types of government assistance, SSDI is an earned benefit. People who are unable to work due to a disability should not hesitate to apply for the assistance that they need and have earned. The SSA lists Sjogren’s syndrome as a recognized disability, but people who are diagnosed with the disorder must meet the eligibility criteria in order to qualify for benefits. There are two scenarios in which a person will be able to receive SSDI benefits while suffering from Sjogren’s. The first scenario requires the applicant to have Sjogren’s that affects two separate systems of the body while also experiencing frequent fatigue, chronic fever, general malaise or significant weight loss. The second scenario requires the applicant to experience two of the symptoms listed above while also having trouble completing daily living tasks, maintaining social relationships or focusing on tasks. If an applicant does not meet either of these scenarios, he or she still has the ability to apply for benefits by undergoing a residual functional capacity test. This test evaluates the limitations that the disease has caused and determines whether a person could be expected to complete job tasks with reasonable accommodation. 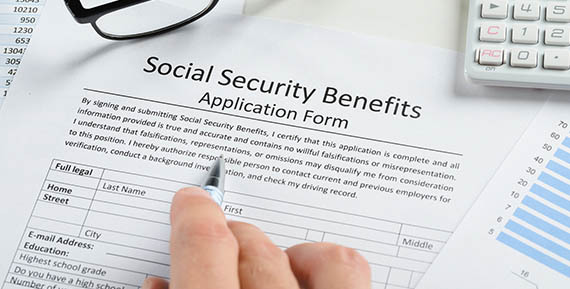 The process of applying for SSDI benefits can be confusing for people who are unfamiliar with the rules set forth by the SSA. When filling out paperwork and gathering medical records is necessary to ensure that much-needed assistance is received, it is important that applications are completed correctly. Approximately 70 percent of SSDI applications are denied. People who have a valid SSDI benefits claim are given the opportunity to appeal a denial, but the appeals process can take six months or longer. When bills are piling up and disabled individuals feel alone in their pursuit of their earned SSDI benefits, it is time to hire a legal professional. Law firms that specialize in SSDI cases are staffed by knowledgeable and experienced attorneys who know how to navigate through the SSDI application process. These lawyers lend their experience and expertise to the process, and the first step to a less stressful application process is to consult with an SSDI attorney.